Here is the link to The Coconut Mama recipe I used. The ingredients are super simple - raw coconut oil, raw honey, and cinnamon! Some folks had issues with their recipe not hardening up. I had no issues. My CO was solidified when I started (pantry runs 68*-72* or thereabouts). 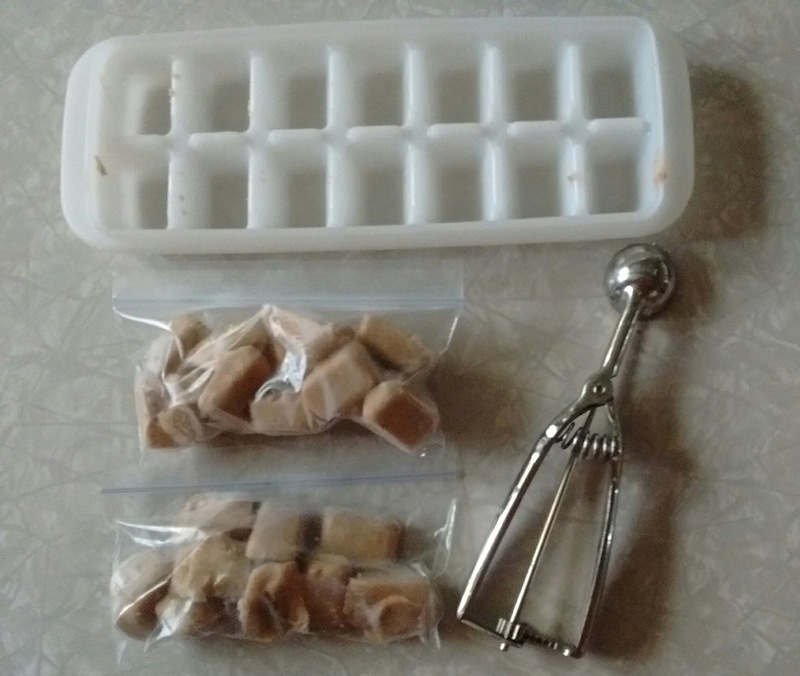 I don't have tiny ice cube trays, so I used my Tupperware ice cube trays and a small Pampered Chef scoop and put a scant scoop in each compartment. Then I pounded them on the counter top to make them settle in and flatten and stashed them in the freezer for the afternoon. I put them in baggies and they are in my kitchen freezer door for easy fighting-illness pick-me-ups. I'm thinking these will be good to add to my morning tea, as well as a soothing throat drop! After a long hiatus.....I am back! Here's a recipe I made today for Homemade Cough Drops! After this whole election thing and finally finding out the results, I was feeling the need to do something....to make something with my hands. I've been dabbling a bit in some make-your-own type stuff and I know winter's on its way.... I was having a gluten-free cinnamon roll(been a long time since I had one - it was yummy) and I swear by my Harney & Sons Hot Cinnamon Spice (decaf) tea to keep me healthy through the sick season. Anyway, I looked around a bit and decided to try my hand at making my own cough drops/throat drops. I'm not too thrilled by the ones with all the extra junk I wouldn't otherwise consume. It was super easy - no need to heat anything up. And my little handmade cinnamon and honey cough drop balls look a lot like the ones on the The Prairie Homestead's site, so I must have done it right! 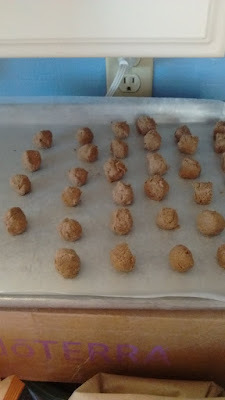 Now I need to let them sit a day or so to dry and then either wrap them up in wax paper pieces or put them in a container to keep them safe until I need them! I was able to find Slippery Elm Bark and organic cinnamon at my local health food store (I believe it was from Frontier). I had the raw honey in my pantry already - purchased from the farmer's market.